GIl's Grimoire is an urban fantasy book series that started on a snowy evening in Chicago in 2010. Since then, it has grown one page at a time. Gil's Grimoire is an urban fantasy series drawing inspiration from everything from Robert B. Parker and Jim Butcher to Doctor Who and the Fantastic Four. Revolving around the strange and zany exploits of billionaire man-child Gil Abercrombie and his associates Dylan and Finch, Gil's Grimoire brings a few mysteries and monsters to Philadelphia, the City of Brotherly Love, along with a collection of friends and enemies not to be underestimated. Oh, and there's a gargoyle thrown in just for laughs, too. I wrote Gil's Grimoire hoping to tap into the heart of urban fantasy–you know, monsters and madmen in a grubby city–without getting too bogged down in the darkness of the genre. Not that there's anything wrong with dark, depressing stuff, I just try and keep Gil & Co. removed from it whenever I can. Oh, and don't be afraid of some sci-fi elements if they get brought into the mix. What complements myth and fantasy better than some sci-fi borne quantum physics and cosmology? There is always more to investigate. 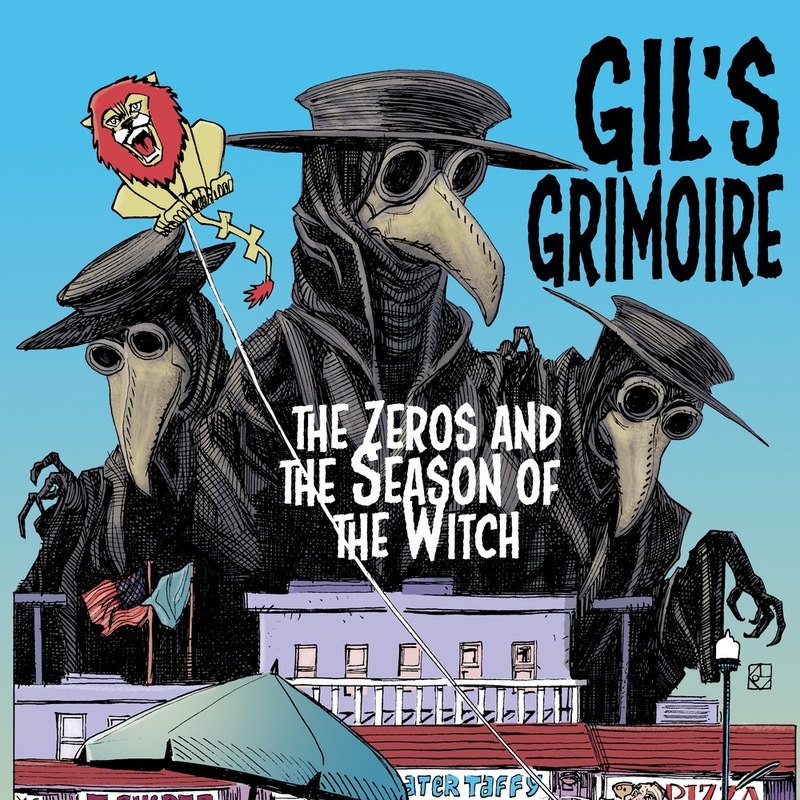 Presenting a new rogue's gallery and set of strange challenges with each volume, Gil's Grimoire is an ever-expanding universe of the weird and otherworld. Shirts, mugs, belt buckles, hats. More than just an exercise in vanity, it gives the author plenty of time to perfect his subpar design skills and offers his family plenty of chotchkies on which to spend their hard-earned money. What are you waiting for? IT'S A MERCH STORE, OF COURSE! Explore our resident artist, find Gil on social media, learn a little about where these strange tales came from, and other strange stuff we the website people haven't even yet been told! Awesome! Mr. Bonkowski is a wacky sort of fellow. Eric Bonkowski is a writer. He is inspired daily by Saturday afternoon cliffhanger serials, classic comics and comic strips, and horror films of the '30s and '40s–to say nothing of mystery, fantasy, and science fiction pulp writings of every age. His time is spent reading, watching campy movies, and writing, supported all the while by his remarkable wife and family. During the rare quieter moments, he can be found listening to jazz and falling asleep well before bedtime. Gil & Co. are not the only group of heroes the author toils over. In addition to the gang, he spends his spare time working on the strange tales of BRICK BRANNIGAN. Gil's amazing artist is not to be forgotten, nor is his substantial contribution to the series to be overlooked.